TURBO TAX SHORTED MY REFUND 1594$ where is MY MONEY ?????? My return was 4964$ approved by the IRS and sent to your banking institution today. The cost of my tax prep and products was 106$ today 3,624$ was deposited 1,594 short! Where is my money ???? I've contacted the IRS and they sent 4964$ to your Banking service. Turbo tax has no real customer service to talk to resolve this so I will be seeking legal counsel I grantee a lawyer will have no problem resolving this. It is sad a company like this preys on hard working families that honestly need this money. Your refund may be less than expected due to a federal offset or an adjustment done by the IRS. You may want to call the IRS to confirm the amount that was deposited. You can reach the IRS at 1-800-829-1040 Mon-Fri 7a-7p local time. 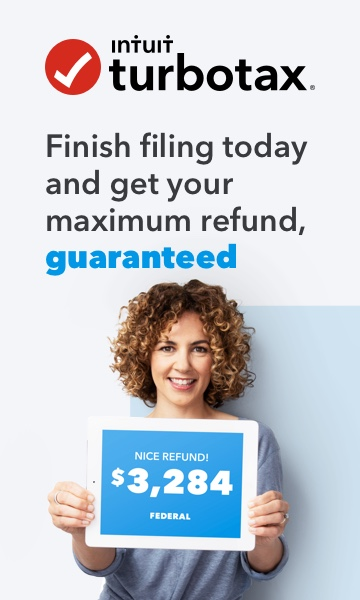 IRS accepted the RETURN that you filed through TurboTax, then they process the RETURN to be sure the data you included matches their records, then any REFUND is approved by IRS. Sometimes they make an adjustment or there's an offset, you should get a letter in the next couple of weeks explaining the discrepancy in the refund amount. Could you have had a garnishment for things like defaulted student loans,child support,or back taxes? If not then I would definitely call the main IRS number first to make sure there wasn't an error in the posted amount of your return. Second,I would call TurboTax and ask how 106.00 turned into over 1,000. I know they charged me 39 something dollars for the deluxe (?) version,39 for filing and another 39 to take the filing fees out of my return. What a joke,filing was supposed to be 100% free through March 15th and I have never heard of being charged to take your fees out of your return.....they don't even tell you how much you are being charged and what it's for until AFTER you have completed filing. I am going to efile on the IRS website next year. I hear it's quicker and 💯% free.